Is there a way to move a post to a different section while maintaining the information of the author? I moved a post and it seemed to strip the author information. Hi Michael , thanks for sharing your question! When moving a post to another category, the information of the author should be maintained. What you are seeing is probably due to the fact the destination category is set to not show author names. This is the default setting for article categories, but you can change it to show the author. Go to Admin > Categories and select the category. 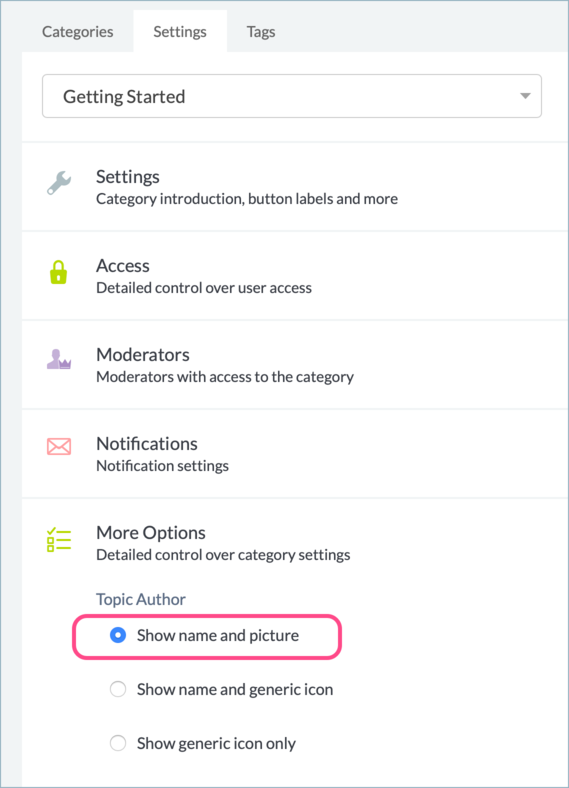 Expand the More Options section, and under Topic Author select Show name and picture, then click Save. Let me know if that helps. Thank you!